How is Philadelphia Insurance Company at paying Florida injury claims? Below average for paying Florida injury claims. Philadelphia Insurance Company (PHLY) is below average at paying Florida injury claims. This includes any type of case where someone’s carelessness caused a victim’s injury. The 2014 FLOIR Annual report states that PHLY wrote premiums of $57,648,200 for business liability insurance. For purposes of this article, “business liability” basically means non-residential injuries. It includes condominium “common area” accidents, apartment complex accidents and much more. In 2013, Philadelphia Indemnity Insurance Company provided business liability insurance in Florida. They had 10% market share. This is in terms of premiums written. They still write Florida policies. They insure twice as many commercial establishments than the #2 largest business liability insurer. Below is a list of the next 14 largest (from largest to smallest) Florida business liability insurers. It is in terms of written premiums. Per the FLOIR 2014 Annual report, Philadelphia Indemnity Insurance Company wrote $23,270,678 in business auto liability premiums in Florida. In Florida, they had 1.8% market share. Business vehicles are cars or trucks. A business vehicle driver’s negligence may cause an accident in Florida. If so, there is a 2% chance that it was insured with Philadelphia. I assume the same is true today. Per the FLOIR 2014 Annual report, Philadelphia Indemnity Insurance Company wrote $3,986,724 in Florida commercial auto physical damage premiums. They had 1.4% market share. The FLOIR 2014 Annual report does not list Philadelphia Indemnity Insurance Company as a top 15 insurer. Philadelphia paid $100,000 in a case where a driver crashed into my client. It happened in Coconut Grove, Miami-Dade County, Florida. My client suffered a lower leg (tibia) fracture. A picture is below. Picture of our client’s lower leg fracture. Philadelphia paid $100,000 towards the settlement. My client was a pedestrian. The negligent driver was driving a rental car. The driver’s employer bought $100,000 in bodily injury liability insurance for the rental car. The entire case – which was also paid by 2 other insurers – settled for $325,000. I settled another case with Philadelphia Insurance Company. I was co-counsel in that case. Philadelphia Insurance Companies is a member of Tokio Marine Group. Tokio Marine is Japan’s oldest and leading property/casualty insurer. Tokio Marine Holdings has a market cap of $30.35 Billion dollars. Tokio Marine is a property and casualty insurance company. As of May 2014, they had 33,006 employees. As of May 2014, they were the 189th largest company in the world. Philadelphia Insurance Companies specializes in Florida condominium association insurance. They insure over 10,000 condominium associations nationwide. Given Florida’s population, I would estimate that PHLY insures 500 Florida condominium associations. The Philadelphia insurance policy may define the word “occurrence.” The definition of the word “occurrence” may give the injured victim additional coverage. It is important to send Philadelphia a written request for the certified policy. The victim should also request other insurance information. PHLY offers High Umbrella/Excess Limits coverage. This is additional to the association’s General Liability policy. PHLY lists the condominium unit owners as additional insured. A condo unit owner’s carelessness may cause someone’s injury. PHLY may insure the condo association. If so, PHLY would cover the condominium unit owner’s negligence that occurs on the condominium property. This is great for the victim. Florida condominiums have common areas. Common areas include swimming pools, lobby, parking lot and garage, hallways, stairwells, tennis courts, lakes and playgrounds. They may include other areas as well. A condo association’s carelessness cause someone’s injury at a common area. In these situations, the victim can make an injury claim with PHLY. PHLY policies list the property manager as an additional insured. Philadelphia Insurance Company insures Florida day cares. Philadelphia Insurance Company child care center policies have abuse and molestation coverage with separate limits of liability available. It is separate and complete from the General Liability limits. Philadelphia policies have premises liability coverage including personal injury liability. A daycare’s negligence may cause a child’s injury. The personal injury liability coverage may pay for a child’s injury. Accidents include slips, trips, falls, drowning and playground accidents. There are many other types of accident as well. Philadelphia Insurance offers up to $10 Million dollars in umbrella coverage. A day care can elect to purchase Owned Business Automobile Insurance. A daycare bus or van driver’s carelessness may cause someone’s injury. If so, the daycare’s owned business auto insurance may pay the victim’s damages. Philadelphia insures the Non-Profit sector. This includes non-profit organizations, associations, churches, ministries, hospitals and any other entity that relies on non-paid workers for operations or projects. Philadelphia Indemnity Insurance Company offers commercial general liability and excess liability coverage. So Philadelphia’s policy may be for more than $1 Million. A non-profit’s carelessness could cause someone’s injury. The victim may have slipped or tripped and fell. There are many other types of possible accidents. If PHLY insures the non-profit, their will likely be enough insurance to cover the victim’s injury. Abuse coverage is available. 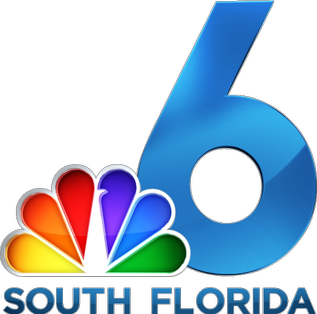 A child has a claim if a Florida Non-Profit employee abused a child. A Non-Profit employee may have purchased abuse coverage with Philadelphia Insurance. If so, there will be insurance to pay for the child’s damages. Philadelphia Insurance offers Excess Accident Medical Expense coverage to Non-Profit & Social Service clients. The coverage is available through PHLY and Special Markets Insurance Consultants, Inc.
A Non-profit’s carelessness may cause a volunteer’s injury. If so, the volunteer may make a claim for Excess Accident Medical Expense coverage. The injured volunteer can also make a personal injury claim against the Non-Profit. An antique car driver’s carelessness may cause an accident in Florida. Philadelphia Insurance Company may insure the antique car. If so, the Philadelphia Insurance bodily injury liability coverage limits will most likely be $100,000, $300,000 or $500,000. They may be up to $1,000,000. Philadelphia Insurance Companies insures Florida Golf and Country Clubs. Their complete package policy includes general liability, liquor liability, auto and crime. Limits to $1 Million for each occurrence/$ 3 Million aggregate. Coverage extended to contracted professionals for additional premium. Their automobile coverage covers owned/non-owned/hired auto. They have large excess limits available. This would cover catastrophic injury cases with large damages. Many falls occur at Florida golf and country clubs. Sometimes a golf or country club’s carelessness causes these falls. If so, the club will be liable for the patron’s damages. Learn more about injury claims against Florida golf and country clubs. Philadelphia insures Family Entertainment Centers. Indoor & outdoor go kart facilities and rock climbing walls are eligible. Salon and day spa general liability coverage is through Fitness and Wellness Insurance, which is a member of Philadelphia Insurance Companies. 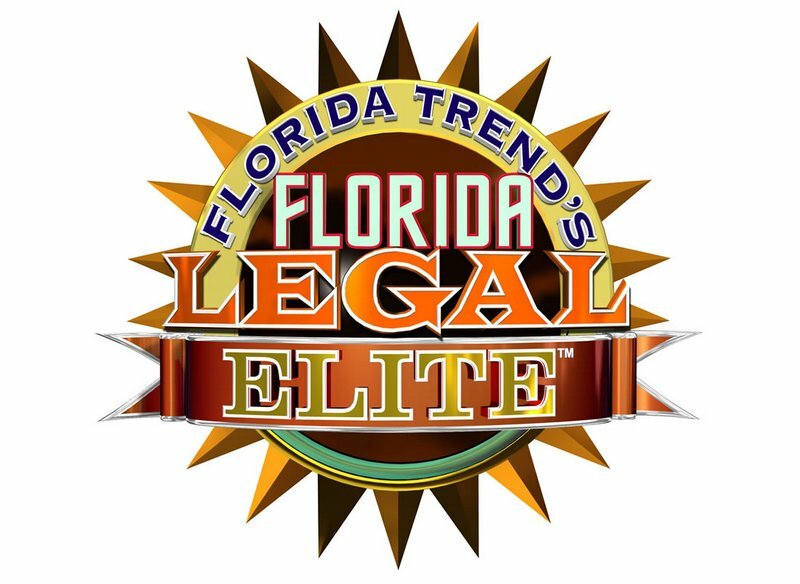 Learn more about personal injury claims against spas and day salons in Florida. Where are Philadelphia Insurance Company’s Offices Located? Philadelphia Insurance has 13 regional offices. It has two local offices in Florida. They are in Altamonte Springs and Clearwater. Is Philadelphia Insurance Company financially strong? Yes. A.M. best gives them an A++ rating. Standard & Poor’s rates PHLY an “AA-” for counterpart credit and financial strength. 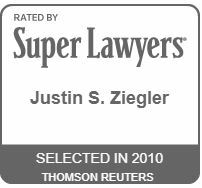 Which Defense Attorneys Does Philadelphia Insurance Use in South Florida? Philadelphia uses John H. Richards and William E. Peters, Jr. of Boyd Richards Parker & Colonnelli, P.L., in Fort Lauderdale, Florida. That law firm also has offices in Miami, Tampa and West Palm Beach. Hicks, Porter, Ebenfeld & Stein, P.A claims to represent Philadelphia Insurance Company. Did someone’s carelessness cause your injury in an accident in Florida? Check out some of the many Florida injury cases that we have settled, including but not limited to car accidents, truck accidents, slip or trip and falls, motorcycle accidents, drunk driving (DUI) accidents, pedestrian accidents, taxi accidents, bicycle accidents, store or supermarket accidents, dog bites, wrongful death and much more. Our Miami law firm represents people anywhere in Florida if someone’s carelessness caused their injuries in car accidents, truck accidents, slip, trip and falls, motorcycle accidents, bike accidents, drunk driving crashes, pedestrian accidents, store or supermarket accidents, wrongful death, accidents at an apartment complex, condo building or home, accidents involving a Uber or Lyft Driver, and many other types of accidents.